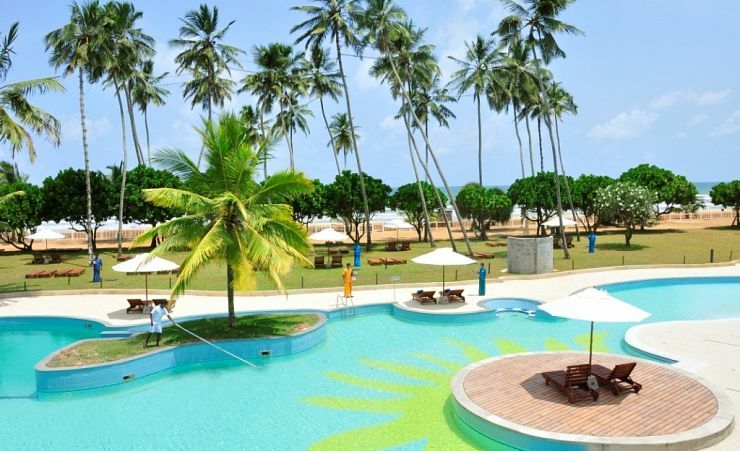 The beautifully secluded Turyaa Kalutara, formerly the Sands Kalutara, is such a wonderful place to stay. 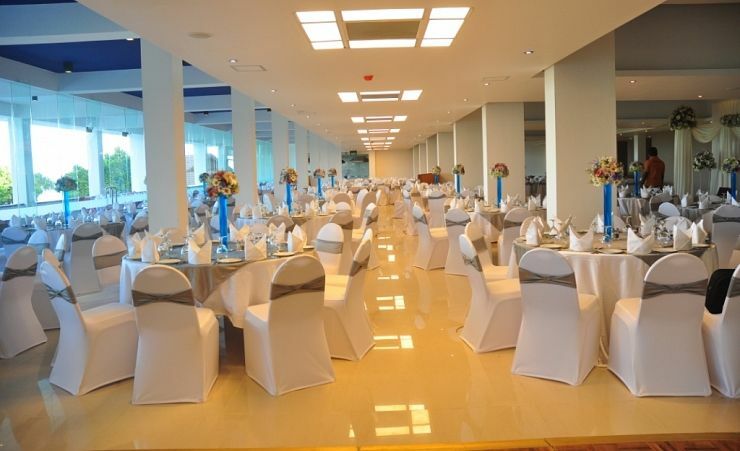 It's a bright, contemporary hotel with a host of exemplary facilities and an amazing seaview. 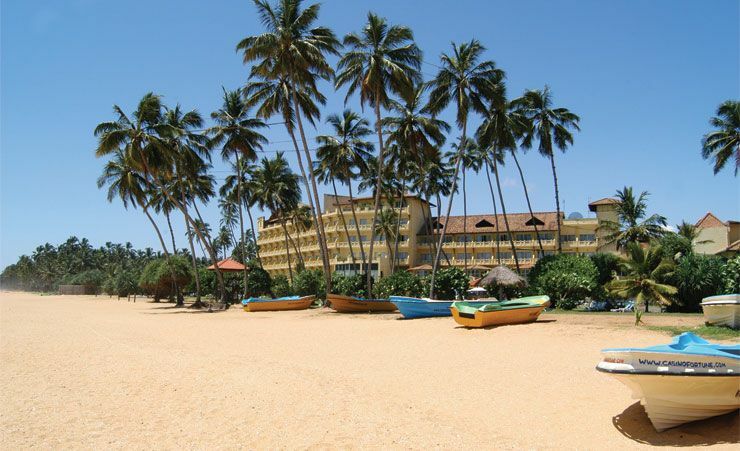 For many, it's the quintessential kind of Sri Lankan holiday hotel - right on the beach and boasting a wonderful sense of style. So, what will you do first? There is no shortage of possibilities. Sri Lanka's capital, Colombo is less than thirty-four miles away and is a must see on many people's itineraries. While Kalutara itself boasts a rich mix of colonial styles and cultural heritage, including the world's only hollow Buddha shrine. 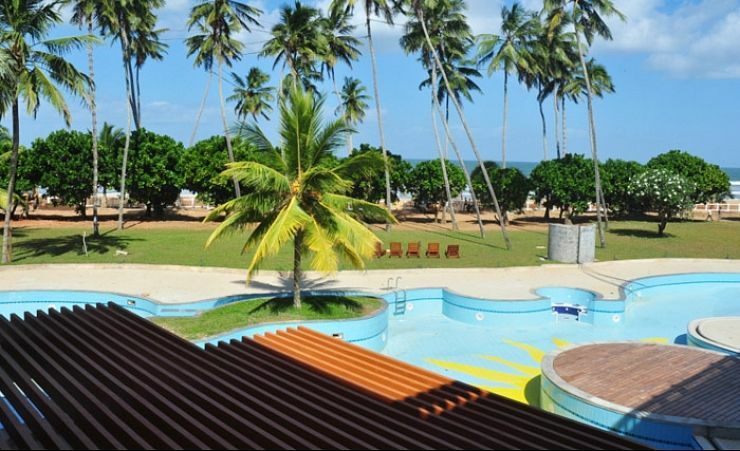 And, of course, there's plenty to keep you entertained at the Turyaa Kalutara. The fabulous lagoon style pool is hard to resist; it's surrounded by beautiful lawns and beyond that, there's the beachfront itself. 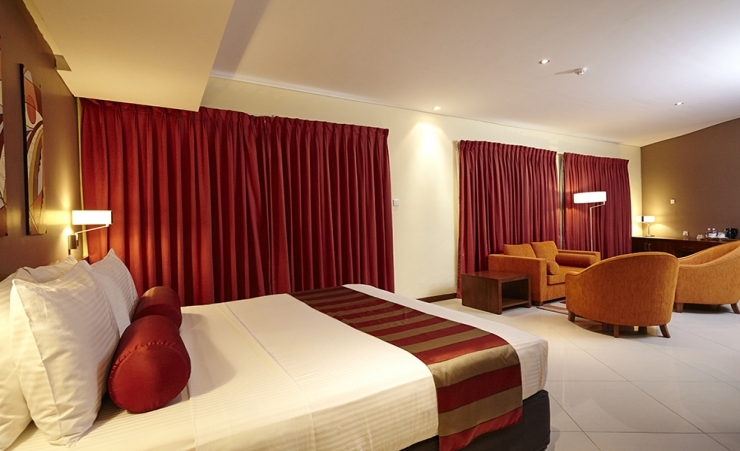 The same attention to immaculate standards can be seen in the design and upkeep of guests' rooms. They're all tastefully furnished, with rich wood, cool stone floors and crisp, clean white décor. From your Deluxe Seaview room you'll have a wonderful view out over the ocean from your balcony – just the place for a leisurely cup of coffee before the day begins in earnest. 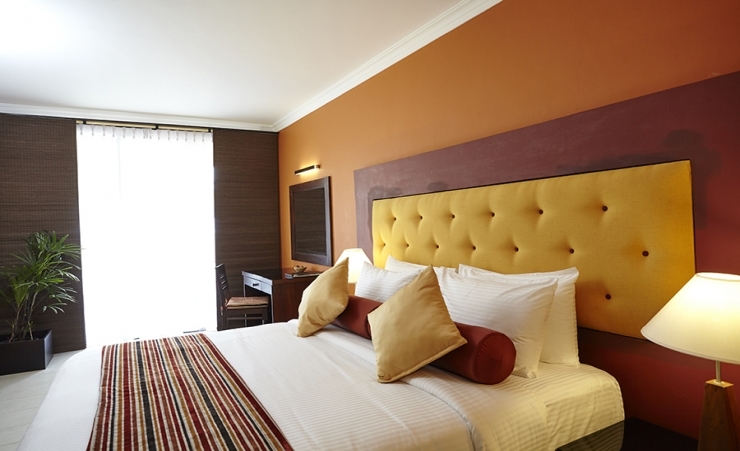 You'll also find your room well-stocked with a satellite TV, telephone, hairdryer, room safe, with an optional minibar. You'll find even more wonderful amenities as you make your way about the hotel and grounds. As well as the lagoon pool, there is a Jacuzzi, steam bath, sauna and the relaxing Diviya Spa.Other activities include beach volleyball and in-door games. 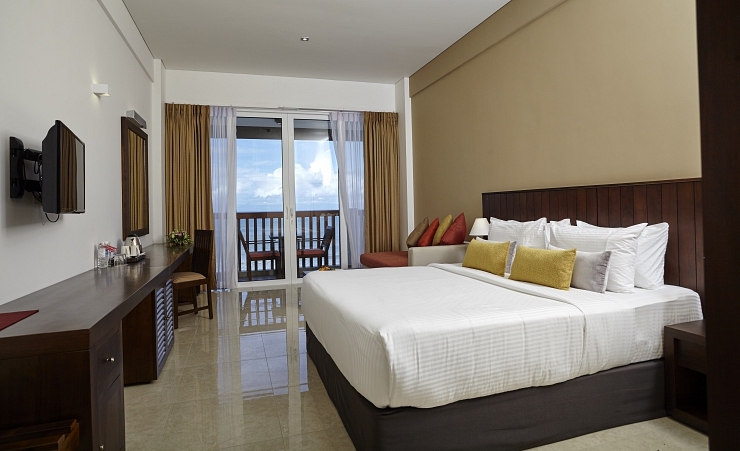 Your stay at the Turyaa Kalutara will ensure you have the most memorable Sri Lankan holiday. 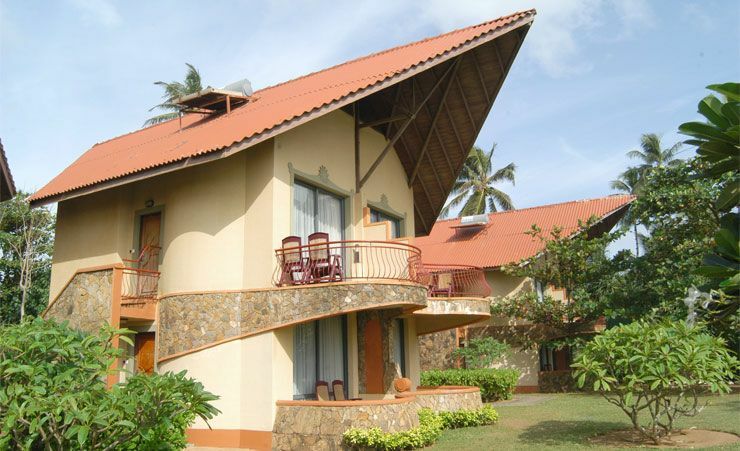 Its idyllic location and mix of facilities make it the perfect base for a relaxing and rewarding holiday. 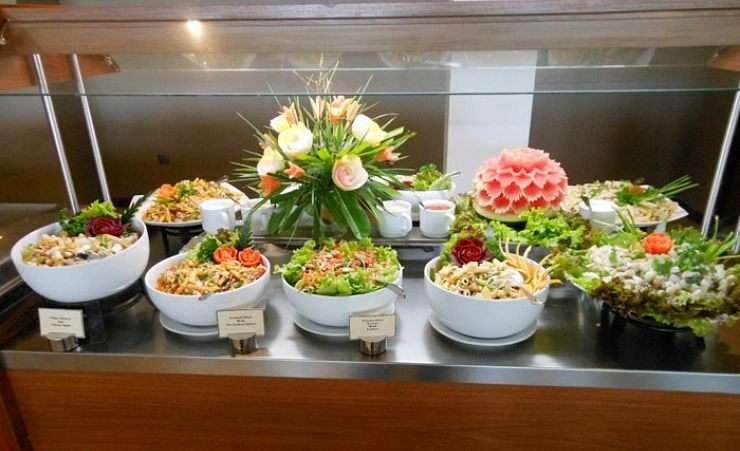 Breakfast, lunch and dinner offering a variety of cuisines, plus snacks, unlimited locally produced alcoholic beverages, local soft drinks and tea/coffee. (Excludes wine, diet drinks and fresh juices). Time & measurement stipulations may apply. 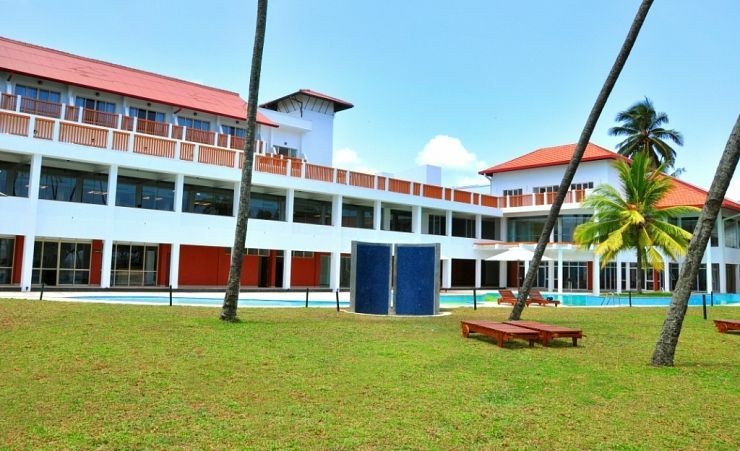 Find out more about your accommodation and the in room facilities at the Turyaa Kalutara . 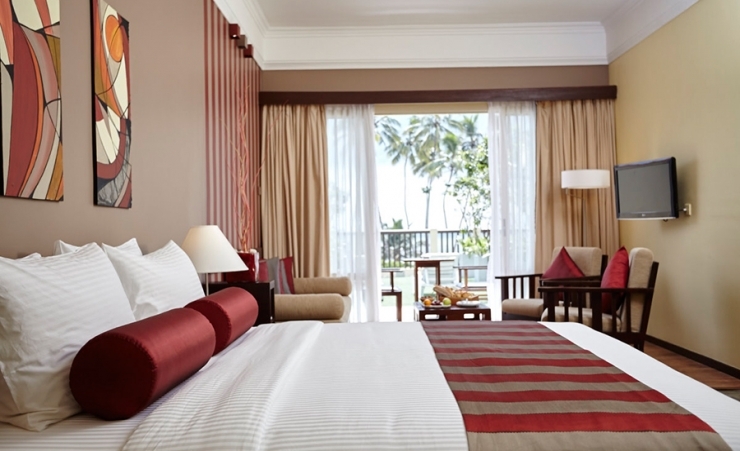 Dressed in sophisticated hues of maroon and grey, juxtaposed against crisp white linen, and equipped with wooden furniture, the Deluxe rooms at Turyaa Kalutara are large, warmly welcoming and open out to the vast allure of the beckoning beach stretch. 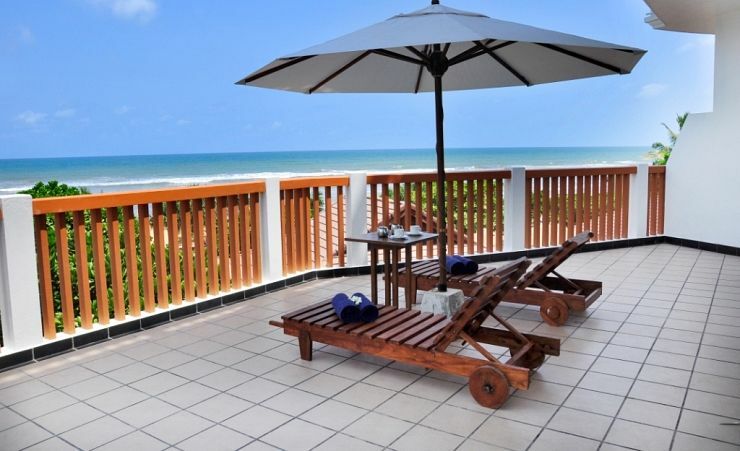 Complete with its own private balcony overlooking the sea, mini bar facility, and fit with luxurious Grohe bathroom fixtures, these rooms are truly deluxe and emanate comfort. These rooms are isolated from the main hotel building, but still situated within the premises, the beach villa style Cabanas are a truly unique way to experience the sea and revel in moments of blissful solitude at our Sri Lanka resort. With its own private patio overlooking the turquoise sea, mini bar facility, and fit with luxurious Grohe bathroom fixtures, these individual Cabanas are havens of intimacy, right at the foot of the ocean. Dressed in earthen hues and wooden furniture, Superior Deluxe Rooms are generously spacious and are complete with a well-ventilated living area and an extravagantly luxurious bathroom. The highlight however, is overlooking the ever-changing scenes of the shimmering ocean playing against the moods of the weather. 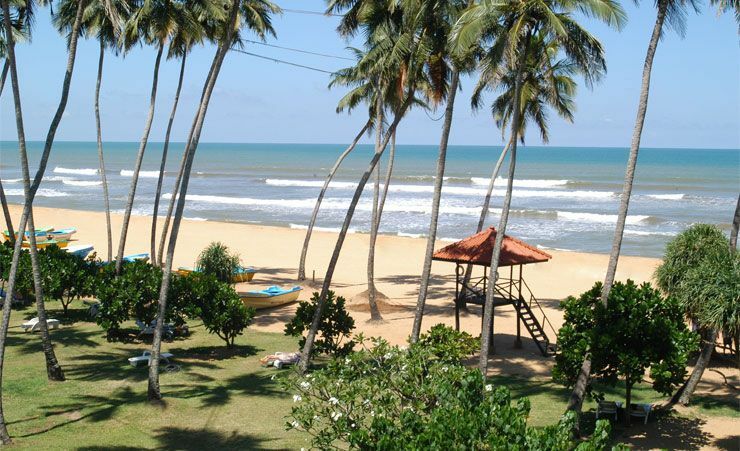 Little more than 20 miles south of Colombo at the mouth of the Kalu River is Kalutara. A bustling village originally made famous by its trade in cinnamon and nutmeg. This popular resort is now best known for its fantastic beach, reed mats and basketware of which fine examples can be seen in the town's permanent exhibition. Transfer Time: approximately 105 minutes. Very good service and staff as allways. We have been going to the same hotel with you for the last 9 years and great it as our second home. Lovely hotel with a beautiful setting right on the beach. Bedroom had a fantastic view. Food excellent and staff very helpful. Always helpful and ready to help with any special requests. Very pleasant staff. Good location. Was just brilliant,more than dreamed and expected. Best ten days ever spent. Excellent service all round. Thanks mercury holiday group for excellent Support and help . Special thanks to reception friendly staff at the hotel. Welcoming and helpful service from the staff, so impressed in how we were treated during our stay. Food and drink is varied and of good quality. We had plenty to choose from for all meals of the day, we couldn't fault the food! Our room was lovely, a deluxe double with sea view, such a lush view to wake up to every morning. We cannot fault our stay at Turyaa, we loved our time there. Fabulous hotel, lovely large rooms with sea views and fantastic pool. Charming staff who couldn’t be more helpful. Good food but only one restaurant . The seafood restaurant only opened on a Saturday evening and you paid extra. Would really have liked the odd bbq. Hotel was very good, although the location could have been better. In the complex every thing was perfect but outside there was no where to go. If we went out we needed to have a car or tuk-tuk, we couldn't just go for a walk. 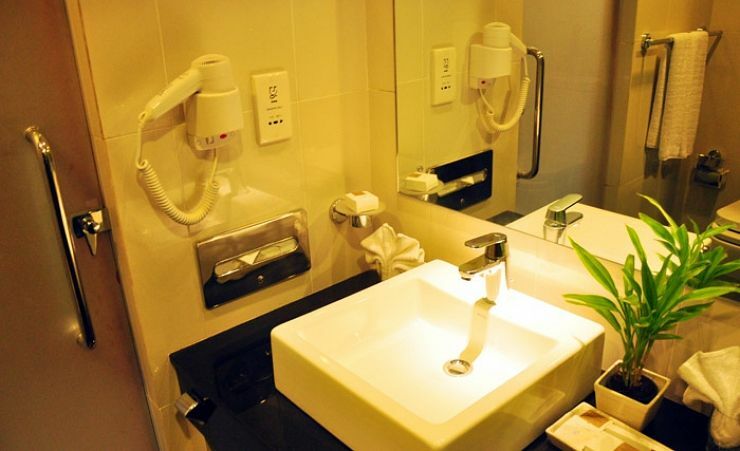 A very well run hotel with a high standard of food amenities and cleanliness. Excellent and very friendly service from all staff at the hotel. great hotel with nice food. All inclusive options re drinks ie cocktails were a bit limited but did not stop us having a great time!. Staff were very helpful and polite. Highly recommended. Excellent staff and service. Brilliant accommodation and staff. Special mention to Wasantha Kumara life guard and Sampath our room cleaning service 5*+ service given. Hotel room very nice and comfy. The staff made the holiday again for the 8th time !! Fantastic response from our rep and the agents whom took us to and from excursions. We were driven everywhere in air conditioned cars, such a luxury! The agents were polite, knowledgable and helpful. Could not fault the service we received. Hotel was great. Staff really good. Lovely place to stay. Lovely location, quiet but not too far from the local town. Grounds well kept and extremely tidy. Food varied and plentiful with local specialities also. We were allocated a room in the new part of the hotel so everything was shiney and new. Lovey and modern with good quality bedding and everything always kept clean and tidy. Well my husband and I have just returned from what was The Sands Hotel, now The Turyaa Hotel. We had an amazing time and could not fault the hotel at all. The staff were very attentive and could not do enough for you. They would remember that I liked tomato sauce with my breakfast and made sure I had some on my table every morning. A special thank you to Ajith in the lounge bar who made our holiday and Nelum in the Resturant for being so attentive and professional. We are hoping to go back in November 2016 and take some of our other family members. Very happy with this hotel. Would consider going back next year. Staff excellent. Great hotel with lovely staff. Good food with adequate variety. Good location. Would specially mention Ghisili, Front of house Manager, Thilini, Guest relations Manager, barstaff Theekshana, Lakmal, Wasantha and Charindhu. All the "poolboys" for great service and Asiri and Tarakha, our room attendants. We'll be back! All the hotels on the tour were good but Mount Lavinia was special.